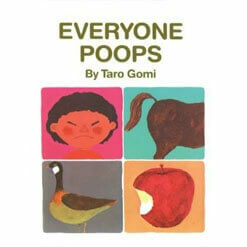 Everyone Poops, the popular children’s book by Taro Gomi, teaches us to not be ashamed of the fact that everybody gets rid of waste. What Gomi’s book doesn’t teach you is how to deal with the sheer embarrassment of clogging your new mother-in-law’s toilet during your first holiday together. Holidays are hard on plumbing systems. With the increase of friends and relatives in the home, even the healthiest of drainage systems sees double the flushes. More family members in the house means hot water heaters are stressed, making everyone fight to not have the cold shower. But, as a guest, there isn’t much you can do to prepare a plumbing system for higher volume. You go about your daily business and hope you don’t set off a problem or discover a leak needing a plumber. Isn’t it bad enough that you’ve had “travel constipation” since you arrived in Coronado two days ago? Isn’t it bad enough that the deviled egg appetizer has given you gas? Isn’t it bad enough that you suddenly had to do “a Number Two” before the ham is even glazed? While everyone poops, not everyone is a plumber. At this moment, staring at the full bowl gearing up to overflow with dirty water, Toilet Bowl MacGyver needs to be summoned. Swiftly open the tank top and close the flapper to stop the rising water flow. Deep breath. At least it isn’t a leak. With no plunger in site, it’s time to get creative. 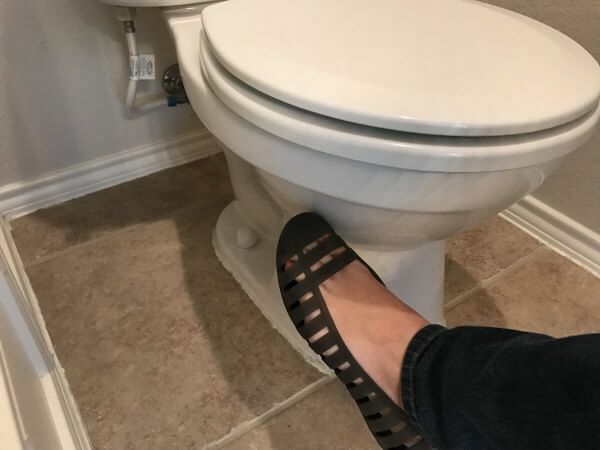 Text your wife, (because you vowed it was both of you, together against the world), “I need help.” When you first made that vow, toilet clogs was the frontrunner image, right? At first she thinks you’re being silly, trying to ask for a romantic interlude before dinner, but soon realizes that you are desperate. This is a delicate situation where you need a solution that doesn’t keep adding volume to the bowl, but you don’t want to call the plumber. There are San Diego drain clog tricks you can use for most any clog, drain or toilet, as long as they aren’t too bad. If you have a serious clog, none of these will help. 1. When In Doubt, Hit It! After all, shattering the toilet bowl will absolutely require a plumber. Use the base of a shoe to tap the bowl several times. If the clog isn’t too bad, the tapping technique might be just enough to loosen what is in the base of the bowl so it will flow down without a plumber coming. This method isn’t mysteriously successful, like hitting the fuzzy television set to get reception. There is some science behind it. 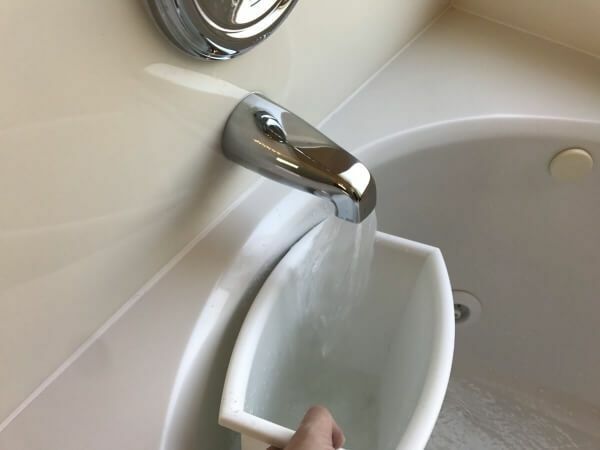 The tap will not really shake the toilet bowl up, but it will send a little shock wave through the system, the porcelain itself and the dirty water contents within it and the pipes. That little shock wave might be enough of a ‘tsunami’ to clear the clog. Hot water makes things like grease and fats softer while cold water keeps them solid. Pouring hot water, or any water, down the toilet may seem brave. After all, adding volume to a toilet bowl gets it ever closer to an overflowing problem. However, hot water is readily available and your wife has disappeared on a scavenger hunt for a plunger and other drain clog aids. The water doesn’t need to be tea kettle screaming hot, but it should be as hot as you can manage. Take the bag out of the trashcan and fill it with hot water from the tub. Pour it into the bowl. Do this so some force works down, but not so much that it splashes around. Then watch. Within 10 minutes, you will know if this will do the trick or not. Ideally, the gallon or two of hot water with its accompanying water pressure should loosen and dislodge gunk sending everything down the line. If after 10 minutes, draining is still very slow, it may be time to up your game. Your wife returns with a plunger and a bucket filled with some items grabbed from the kitchen. “We’re not making a soufflé here,” you growl, taking the plunger, rolling up your sleeves. 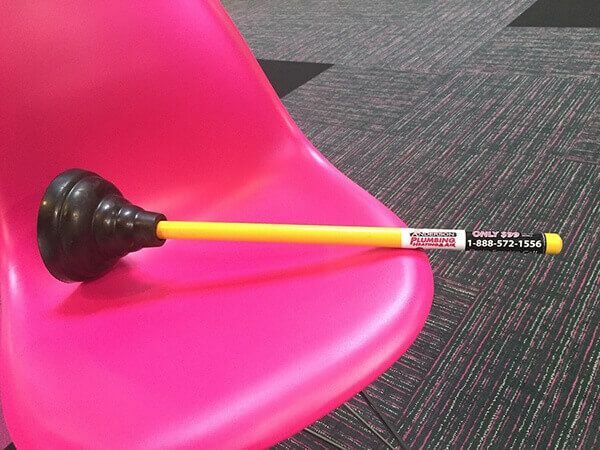 Everyone has seen someone else use a plunger, but usually in a sitcom. Proceed with a bit more care than you would see on television. Gently push the plunger into release the air within the bell of the plunger. Starting too forceful here causes a jet of air to split anything and everything everywhere, including your wife. Make sure that the plunger is covered with enough water to remain submerged otherwise it won’t maintain suction. 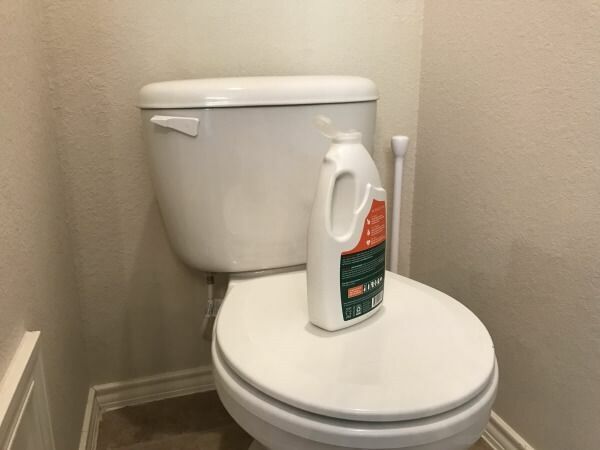 Once suction is established, vigorously pump, pulling the plunger up and down hopefully releasing any clog located in the bowl or in the immediate drain line behind the toilet. When this age-old method doesn’t do the trick, you look at your wife. She points to the ingredients she brought with the plunger. You watch, loving your wife more with every passing moment as she tackles your plumbing problem. She pours a cup of baking soda, then a cup of vinegar in the toilet, attacking the clogged pool of ick. You both back away as the toilet contents fizz and bubble. No. This is a simple chemical reaction commonly used by housewives for generations. Who knew your new bride was so talented in domestic plumbing warfare? Would she be a leak ninja if there was a burst pipe in the kitchen? The bubbling and fizzing should be breaking up gunk causing the clogged drain. After 10 minutes, pour more hot water down again. Ideally, at this point, a cumulative effect of everything should dislodge the clog. As the two of you watch, as the bowl continues to fill and slowly drain, you know one serious flush will cause an overflow. Out comes dishwashing detergent to help. This serves merely as a lubricant to hopefully help anything that was dislodged to slide down easier. Bonus: it will leave the porcelain bowl shiny clean. Again, after 10 painful minutes, hot water goes into the toilet bowl, and again, you are praying gravity is on your side. Water pressure along with lubricant and anything that has already been loosened hopefully flows away from the bowl, down the sewer line and out of your life for good without the need for a plumber. If this doesn’t work, there is nothing left in the bucket of tricks. Your wife runs out one more time and you realize, this isn’t going to end well. Despite every plea you gave your wife, she did it. She went and got her dad. He’s no more a plumbing expert than you. The reality is, who else could be more empathetic to your plight than the man of the house? This may be the bonding moment that solidifies your future relationship with him. He stands over your poop, seemingly un-phased by the situation. He takes his shoe off and taps the bowl and waits. You watch, silently praying he has better luck than you. Systematically he goes through the list of options as you confirm that you tried each of them. Forget the poop, he called you son! That book never said poop has the ability to unite a family. Dad pulls out his phone and makes a call. It’s time to bring in a licensed plumbing professional. It’s time for a professional drain cleaning. Anyone of these hacks may work in a jam. However, properly maintaining home drain systems and preparing for increased holiday traffic goes a long way to avoiding embarrassment. Anderson Plumbing, Heating and Air is there for you and your family to save the day. All of our vans are a warehouse on wheels, completely prepared to fix and replace anything necessary to get your pipes flowing freely again. Anderson Plumbing, Heating & Air has extended normal hours, offering regular pricing from 7 am to 7 pm, 7 days a week. Residential water disasters and plumbing leaks often occur outside of standard operating hours, but we have an expert plumber available 24 hours every day to help you solve the problem so you can get out of the bathroom and get back to your festivities! Put Anderson Plumbing, Heating & Air on your speed dial today: (866) 374-0402. Browse our website to see how our professionals can help with heating, air conditioning, water drainage issues, sump pump problems, a sneaky leak or failed hot water heaters. 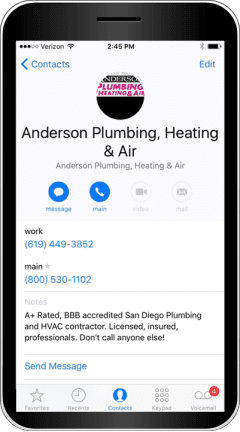 Anderson Plumbing, Heating & Air has been the trusted plumbing resource in San Diego since 1978.